Signatures are a great way to add a personal touch to your outgoing text messages. To create a new signature, navigate to Settings > Signatures & Templates in the Web App or Settings > Templates / Signatures > Signature in the Tablet app. Type your desired signature in the Signature section and click Save. 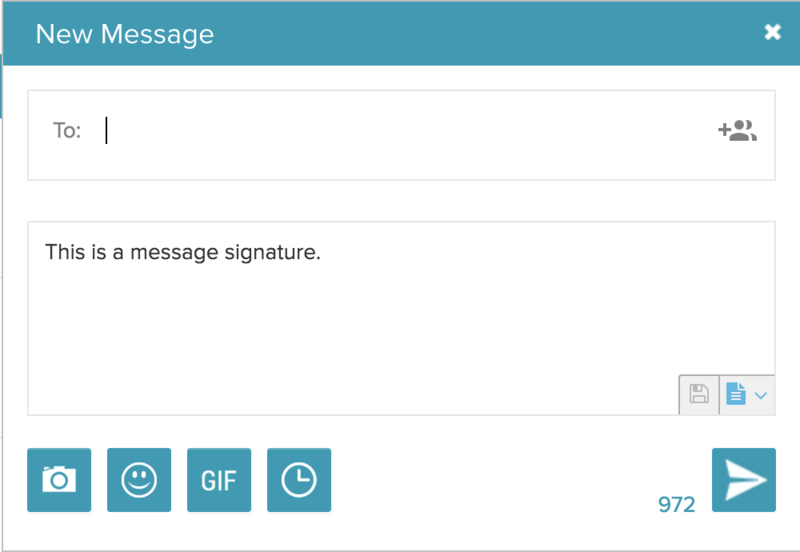 Your signature is automatically included with messages sent from the New Message box. Click New Message and a new message widget with your signature will appear. When replying in an existing message thread, you can add your signature by clicking on the templates/signature icon beside or below the message response area. In the menu that appears, select Insert Signature.